Wow, we have had an amazing week! Did you know National Roofing Day was March 7? That’s our favorite day of the year! How did you celebrate? Was it with a leaky or worn down shingle roof? If so, our National Roofing Day celebration may help you out. We are celebrating National Roofing Day with a whole month of discounts! Until March 31, we are offering 25% off our metal roofing. Metal roofs are more durable. Metal roofs are far more durable than shingle roofs. While shingles can fall off during extreme weather conditions, such as hail, rain or heavy winds, metal roofs are much more weather resistant. They can withstand wind speed up to 140 MPH. Shingle roofs last on average 17 years. Metal roofs have triple the lifespan. Metal roofs are energy efficient. Are you tired of having to crank up the AC during the summer months and watch your utility bills skyrocket? A roofing change might help! Metal roofs do a much better job at reflecting the sun’s UV rays than shingle roofs. 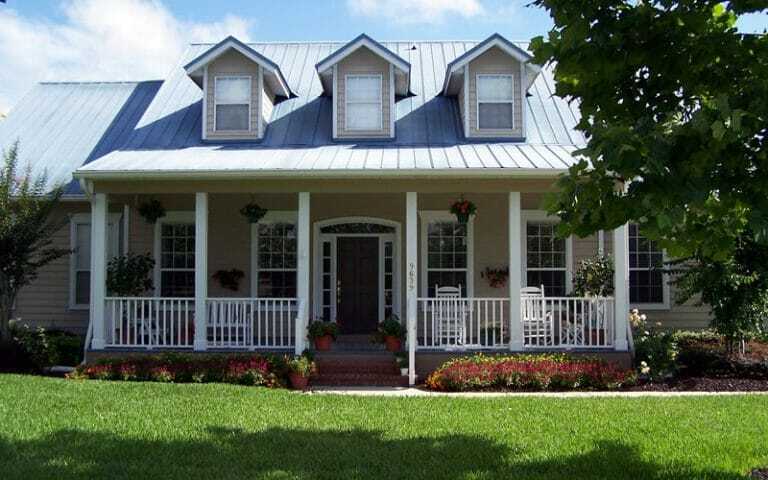 Investing in metal roofing will help your house stay cool in the summer without an extreme amount of AC. Metal roofs save you money. What’s the main reason to get a metal roof? It will save you money! With its increased durability and energy efficiency, a metal roof will put hundreds of dollars back in your pocket in the coming years. Now that’s a savings you shouldn’t pass up! Are you sold? Celebrate National Roofing Day with us this March by allowing us to install for you a new metal roof! Get in contact with us by filling out our contact form or calling us at (877) 85ROYAL.